For an industry that spends most of its time outside, the increase in diseases caused by ticks, mosquitoes and fleas should be a huge concern. Data from the Centers for Disease Control and Prevention (CDC), which tracks disease incidence nationally, show that diseases from ticks, mosquitoes and fleas almost doubled from 2015 to 2016, rising to 96,075 from 55,660, the latest year for which reporting data are available. The number of cases could be even higher. For example, the CDC estimates that only about 10 percent of Lyme disease cases are reported. What’s causing this increase in insect-borne diseases? The CDC points to several factors. First is climate change. The U.S. has been having milder winters and warmer summers. The warmth and increased rainfall have created good conditions for these pests to thrive. Climate change also has allowed the range of insects once known to live only in tropical climates to expand northward. Second, as the population grows, housing development is pushing further into previously unoccupied areas, home to ticks, mosquitoes and fleas. Third, the sheer number of diseases carried by ticks, mosquitoes and fleas is increasing at an alarming rate. Some of these diseases have never been seen before in the U.S. 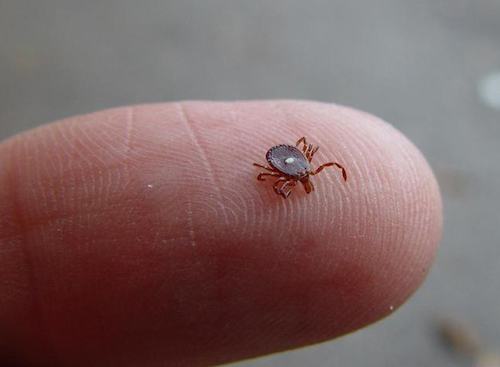 The CDC has identified 16 diseases that are carried just by ticks, some much worse than Lyme disease. The CDC identified nine new germs and related diseases spread by ticks and mosquitoes between 2004 and 2016. Many of these diseases can be life-threatening and take months from which to recover. For example, a friend of mine contracted ehrlichiosis this summer after he received a bite from a lone star tick while cutting his lawn. Although he removed the tick immediately, he began running a fever a few days later and had to be hospitalized. He now is unable to walk without assistance, is in constant pain and will be in rehabilitation for months. Mosquitoes have long been recognized as a vector for the spread of diseases and are probably best known for carrying malaria, the bane of tropical regions. But as the range of certain species of mosquitoes has increased northward with climate change, so has the incidence of the diseases that they carry. Diseases such as Zika and West Nile virus, unknown a few years ago, are becoming more common. Fleas are not a large a threat to landscape company employees, but they still carry some nasty diseases. You are most likely to contract a disease from fleas by contact with pets. The plague and cat-scratch disease are two of several diseases transmitted to humans by fleas. Landscape companies should have in place a good employee training program about how to avoid contracting tick- and mosquito-borne diseases. Landscape employees are one of the most vulnerable occupational groups for contracting tick and mosquito-borne diseases. Treating items, such as boots, pants, socks and tents, with permethrin or using permethrin-treated clothing and gear. Finding and removing ticks daily from yourself. The CDC has excellent resource pages for ticks and mosquitoes with more information about how to protect yourself and your workers. Additionally, EPA has a webpage that will help you select the insect repellent that’s best for you.